The Chatham-Kent Health Alliance Foundation (CKHA) is over $7,5000 closer to their fundraising goal after receiving two donations from Chatham-Kent Realtors. Early last week, representatives from the Chatham-Kent Association of Realtors presented a cheque for $2,530 to the Chatham-Kent Health Alliance Foundation (CKHA), in support of the $6.9 million CKHA Diagnostic Imaging Equipment Renewal Campaign. Spearheaded through the Chatham-Kent Association of Realtors, the Realtors Care grant provides funding across Canada for projects that have meaningful community impact. This grant application was assisted through Brian Peifer, of Royal Lepage Peifer Realty. 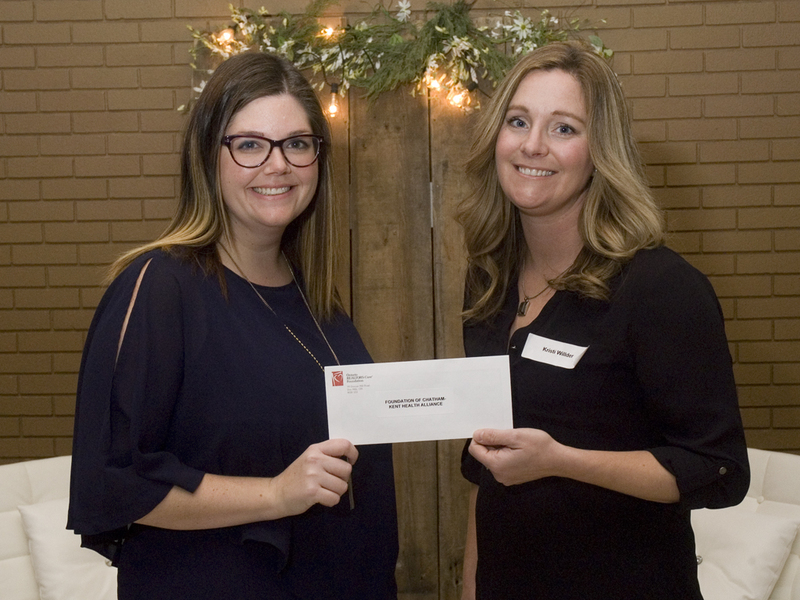 The cheque was presented by Kristi Wilder (President, CK Association of Realtors) to Candice Jeffrey (Chatham-Kent Health Alliance Foundation) at the CK Association of Realtors annual Christmas Luncheon. The Chatham-Kent Health Alliance Foundation is also thrilled to thank Brian Peifer & Deb Roberts of Royal Lepage Peifer Realty for their presentation of an additional $5,00 the CKHA Diagnostic Imaging Equipment Renewal Campaign! Brian, Deb and their team decided to double the $2,500 that was donated by the Chatham-Kent Association of Realtors.